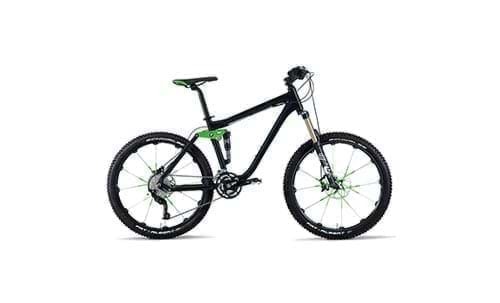 Uphill, downhill or freeride – with this mountain bike you won’t need to accept any compromises. The advantages: a perfectly tuned chassis offers top safety on even the most difficult routes. With its 30 gears, the exclusive Shimano XT derailleur is more than capable of tackling even the most demanding tours. With hydraulic disc brakes for increased safety and a full-suspension hydro-formed aluminium frame. Extremely comfortable suspension, top climbing ability and sensitive steering for descents: the BMW Mountainbike all mountain is ideal for every route. IMPORTANT: Brakes are manufactured according to EU specifications.